Chili-spiced jicama sticks are a perfect gluten free snack for your entire family. Crisp, refreshing, light, and riotously flavorful, this silly-simple snack could easily become a habit. In a ramekin or small bowl, mix together the chili powder, cayenne, and salt. In a bowl, toss together the lime juice and jicama sticks to coat. 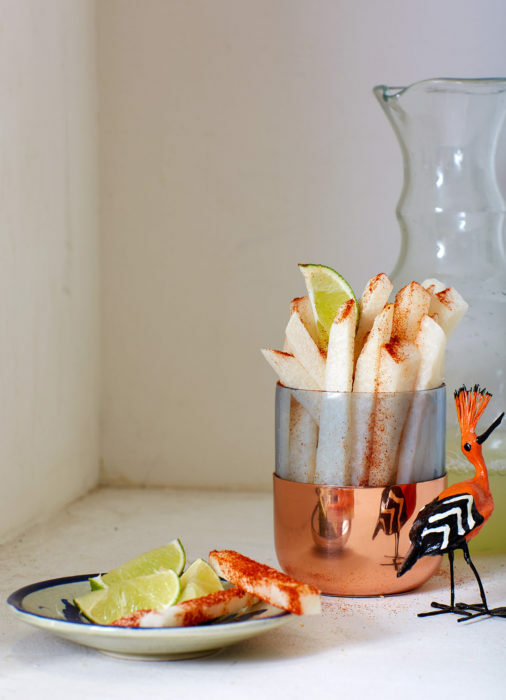 To serve, sprinkle one end of each jicama stick with the spice and serve, spice-side up, in a shallow glass or dish garnished with a lime wedge.